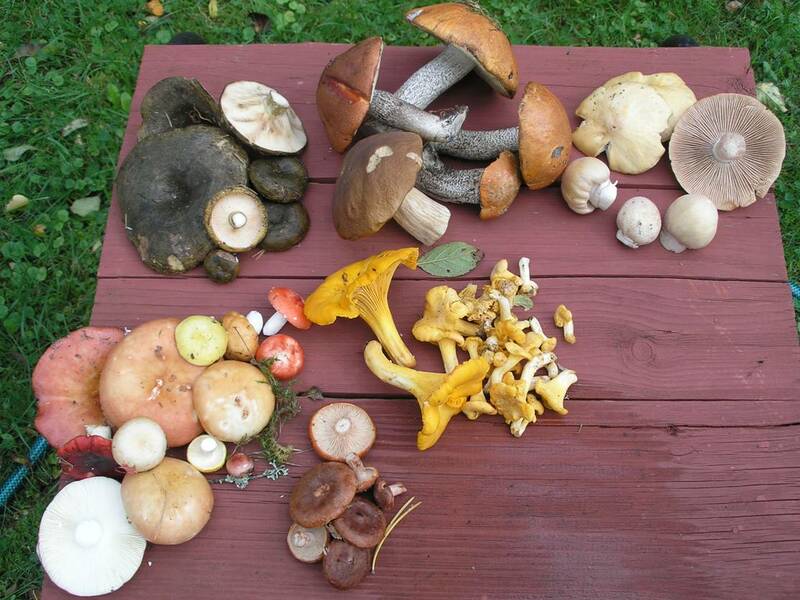 September is mushroom holiday time. As minimum, I try to go pick mushrooms twice, preferably three times or more.It is great that a lot of the forest is state owned and everyone can walk freely and pick what the forest is offering. Depending on the season it can be blackberries or lingonberries in summer or mushrooms mainly in autumn. The location knowledge of the good places are passed on from generation to generation and between friends. There is something unexplainable about the wild mushrooms and Estonians. 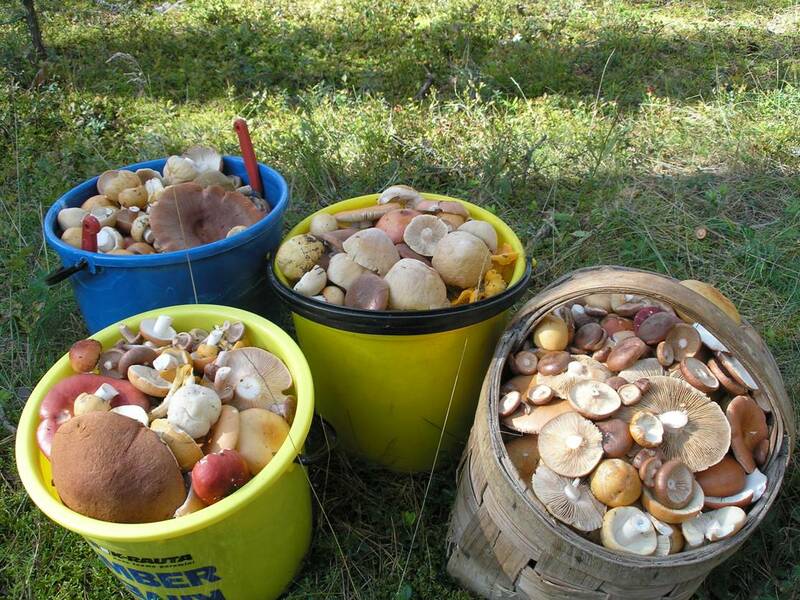 Every year masses of people want to go to the forest and when they get their baskets full of mushrooms they are filled with joy and happiness. Even just thinking about going to the forest and reminiscing about a previous successful trip brings a smile on their faces and creates lots of positive happy hormones. If you are looking for a conversation topic with often very reserved and quiet Estonians, wild mushrooms would be a good topic to engage in. Most people would talk enthusiastically about their trips, good and bad crops in different years and cooking-eating the mushrooms. Others would have an equally emotional view about why they don´t do it (afraid of insects, picking the poisonous ones, getting lost). 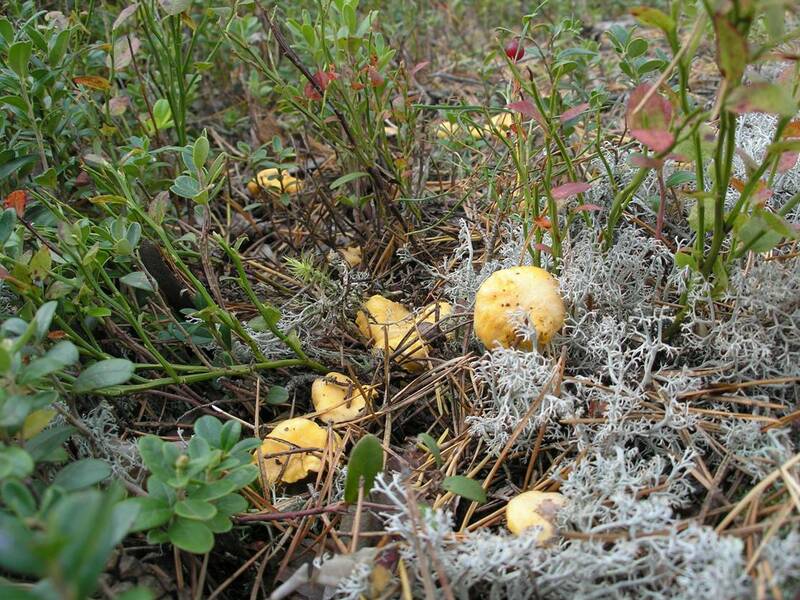 The 2011 South Estonia wild mushroom crop has been all right, but far from a bumper crop. In fact, it is even better so since a "bumper crop" means that the top enjoyable activity on my list of preference would be very brief and there would be no need to go for a second walk-around in the forest. In reality there is no real need to go anyway as it is a challenge to eat all the harvest. Some mushrooms can be just sauteed and so to say eaten fresh, the others need to be boiled first. The latter are typically put into glass jars for winter and preserved in a highly salty water. Some smaller button size mushrooms are marinated in vinegar-salt-sugar-onion-carrot-spices (pepper corns, cloves)- mix and preserved. A wild mushroom common for many countries is the yellow chanterelle or "kukeseen" in Estonian or "Eierschwämmli" in Swiss German or "Pfifferling" in German. If using the preserved mushrooms, soak them in cold water overnight in the fridge, changing the water a few times. If the mushrooms still taste salty you may boil them in plain water to get the salt out and cool down before proceeding. Chop the mushrooms into small pieces. Chop the onion very thinly. If you wish to have a lighter version of the salad cut one or two medium size tomatoes into small pieces too. Chop the boiled egg into approximately same size as mushrooms. Leave some egg yolk for garnish. Mix everything with sour cream and/ or mayonnaise depending on your preference. Add some black pepper. Since the mushrooms have salt in them already there is usually no need to add more. Taste and garnish with some boiled egg yolk and dill or parsley. Drop the spinach into the boiling water, let it melt on medium-high heat and come back to boil. Using a mixer or a blender puree the spinach into a very smooth consistency. Add salt and a little grated nutmeg or black pepper. Add the cream and bring to boil again. In the meanwhile cut the fresh mushrooms into small bite size pieces, smaller chanterelles do not require chopping. Put the mushrooms into a hot pan without the butter. Heat and cook them until water comes out and evaporates from the pan. Now add the knob of butter and a little salt to taste and sautee the mushrooms for 5-10 minutes. 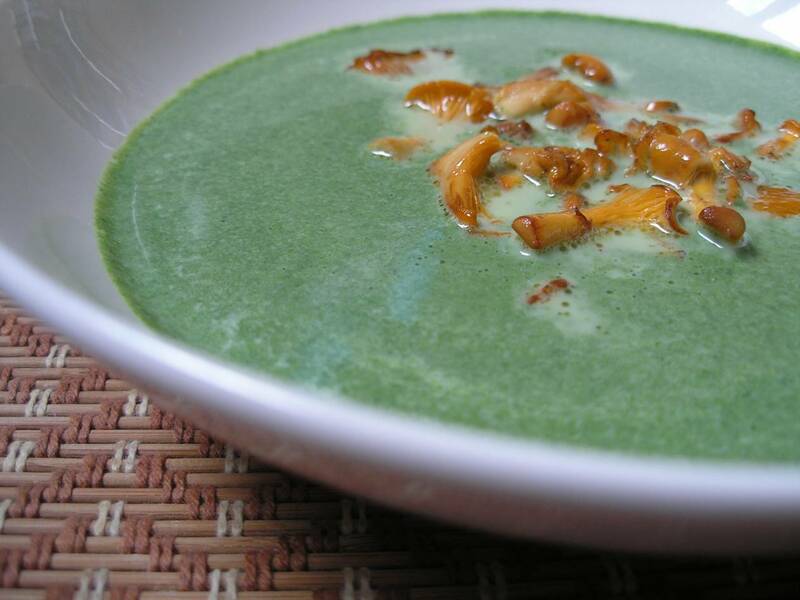 Serve the soup hot with a couple of tablespoonfuls of sauteed mushrooms per portion. For a main dish some seriously sizzling Mushroom-minced meat "Burgers" will fill the bellies. I struggled to find the appropriate word for these half meat - half mushroom burger resembling but smaller pieces of what the Estonians call "kotletid" or the Germans call "Frikadellen". 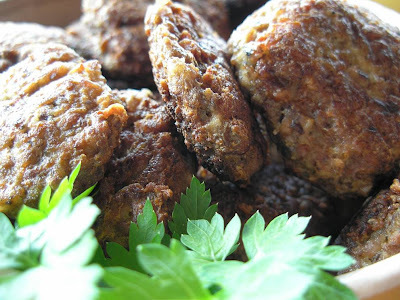 In essence they also resemble the Swedish meatballs, but are bigger and flatter. 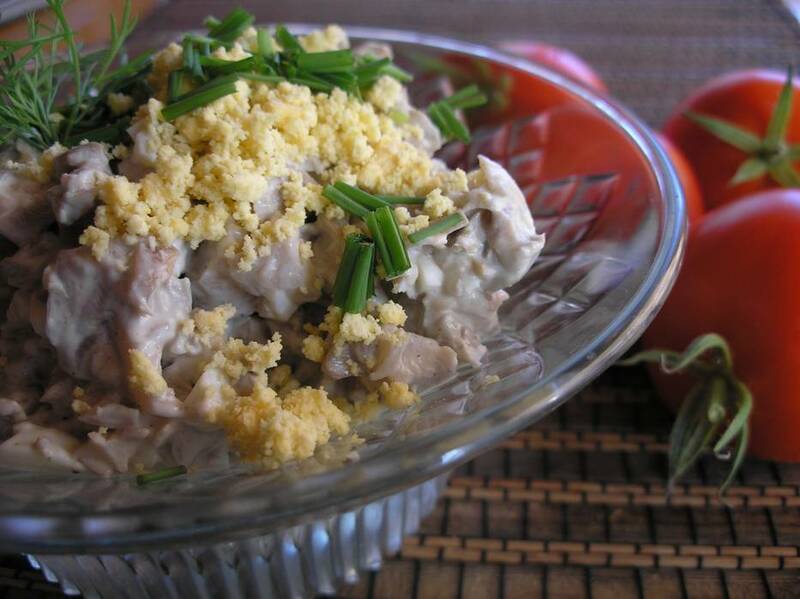 Grind the meat, mushrooms, onion and garlic in the mincer or food processor till quite smooth. Add salt and pepper. Taste, before adding the raw eggs (salmonella risk). Mix everything with the eggs. Then add the flour. Mix everything well. Leave to settle in the fridge for 20 minutes. Make palm size balls and press them a little flatter. You may need to wet the palms a bit to reduce the mixture sticking to the palms. Heat some cooking oil in a pan. Fry the "burgers" in the oil for about 5 minutes on both sides on medium heat. Taste the first one that seems ready. Now is a good time to make any adjustments to the remaining "dough" on taste or add more flour if it breaks too easily or check the donness and adjust the time or temperature of cooking. Eat with potatoes, salad, bread or just like that.